​Our Grow Great Girls and Build the Best Boys programs are designed to build personal confidence, self-esteem and social capacity. Why attend a Cultivate Conscious Kids Program? 1 in 3 girls does not feel that she has the "opportunity for open discussion in her classes"
Statistics from: National Center for Educational Statistics, heartofleadership.org, girlsinc.org, National Center for Biotechnology Information, JAMA Pediatrics, stopbulling.gov, and dosomething.org. Kids need to be taught it's okay to stand up for what they value. Kids can learn to access the courage to speak up for what they believe. 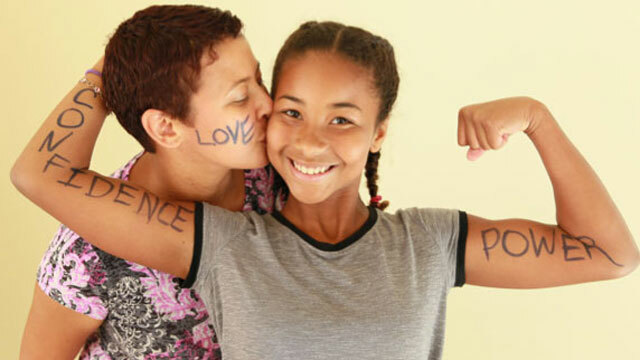 The mother-child bond can be strengthened to promote open communication and positive modeling and mentorship. Girls and boys need to develop the ability to make tough decisions and have difficult conversations. Learning how to navigate challenging friendships and relationship is a life-long skill. Build leadership capacity in girls and boys by helping them access their authentic voice and inner courage. Develop the skills necessary for effective leadership. Strengthen girls' and boys' sense of self and confidence. Address issues of gender, race and class in a way that allows for courageous conversations and collaborative connections.